Today, March 2, is the birthday of Theodor Seuss Geisel aka Dr. Seuss. Geisel published over 40 children’s books full of rhyme and imaginative characters. 200 million+ copies of his books have been sold. In his honor, March 2 has been named National Read Across America Day, an initiative created by the National Education Association. Just in time for the celebration of Dr. Seuss’s birthday/Read Across America Day, many of his books (apps) are on sale for $1.00 less. Here are a few links to get you started. 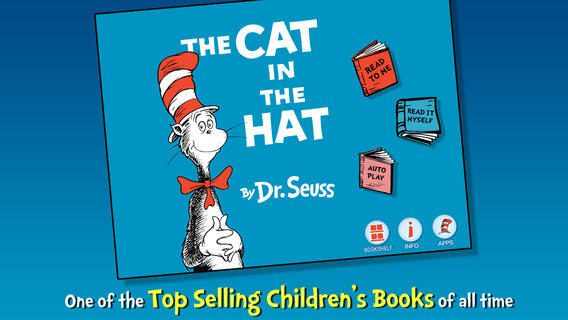 For more titles, search Seuss in the App Store.